Reuters’ recent State of the Global Islamic Economy Report revealed that Muslim countries are emerging as a production powerhouse for “halal media” — i.e., content targeting or suitable for Muslims. The report highlighted Saudi Arabia as a promising market after it launched its entertainment reforms and opened cinemas, thus creating supply and demand for Islamic-themed content and visual arts in general. The report stressed that productions by the member countries of the Organization of Islamic Cooperation (OIC) have exhibited strong performance, setting the scene for more Islamic-themed content from the region. As Muslims represent a quarter of the world’s population and are very young — 54 percent of Muslims will be under the age of 30 by 2030 — it is only natural that the entertainment business would target them with content that caters to their cultural and language demands. According to the Reuters report, Arabic content in the Middle East and North Africa rose by 40 percent between 2011 and 2014, while Western content dropped by 55 percent. Turkish entertainment has also become increasingly popular over the past decade and has been translated into multiple languages. Content producers have already tapped into the Arab market, especially in the Gulf countries, with Saudi Arabia laying the foundations to be a major player. The report pointed out that the overturning of the ban on cinemas in Saudi Arabia is expected to push Islamic-themed content for the big screen and result in crossovers to the small screen and online. The first movie to be screened in Saudi Arabia after the 35-year ban on cinemas was lifted was Marvel’s “Black Panther” in Riyadh in April last year. 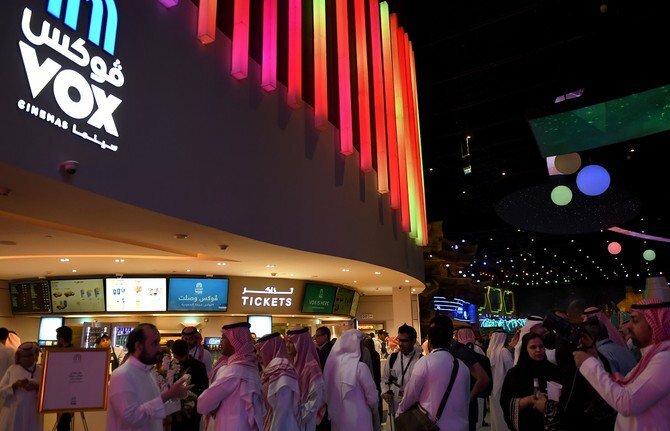 This week, the first movie theater, with 12 screens, was due to open in Jeddah at the Red Sea Mall — part of a rollout that will see 300 new screens in the Kingdom within 18 months. This will create thousands of job opportunities and will contribute to achieving one of the goals of Vision 2030, to diversify the local economy and output. This opportunity is not only about jobs at the theaters, but also about establishing an entertainment industry that creates and produces content with local talents, has studios and production houses, and exports films. Marvel is now set to develop a Muslim superhero to appeal to the Muslim audience. And, with content being increasingly streamed online, the Muslim world has launched its own “Netflix” for children called Ali Huda, offering thousands of cartoons and edutainment programs in English and Arabic. The Muslim population size and age group, with its huge purchasing power, presents major opportunities for content producers, whether from the region or outside it. According to the Reuters report, Muslims’ spend on media and recreation was $209 billion in 2017 and is forecast to reach $288 billion by 2023. Children, in particular, represent a critical and sizeable consumer segment within halal media. Some attempts have been made recently to develop attractive Islamic-themed content for children, notably Ali Huda and Muslim Kids TV, but a lack of concrete investment in the genre has limited their reach and impact. With the right marketing, cartoon heroes that Muslim children can relate to could become highly popular. The Muslim population size and age group, with its huge purchasing power, presents major opportunities for content producers, whether from the region or outside it. Societies express themselves through different art forms, and the opinions and views of societies are shaped by how they express themselves and how they are being portrayed by others. Whether accurate or not, most of what we know about countries and societies we have not been to or interacted with is shaped by media reports and movies. By telling our own stories and creating our own content, we can take control of how we are being portrayed.